S. 141, the Space Weather Coordination Act as passed by the Science Committee, addresses the complex challenges posed by space weather and space weather events. This bill, as amended by Rep. Ed Perlmutter (D-Colo.) and Rep. Mo Brooks (R-Ala.), recognizes the real threat posed by space weather by creating a comprehensive national coordinating framework and requiring the establishment and maintenance of a baseline capability for space weather observation and forecasting. It codifies, for the first time, the necessary architecture to leverage the capabilities and expertise of the government, commercial sector, academia, and the international community to advance space weather observation and forecasting and substantively address the challenges posed by space weather. 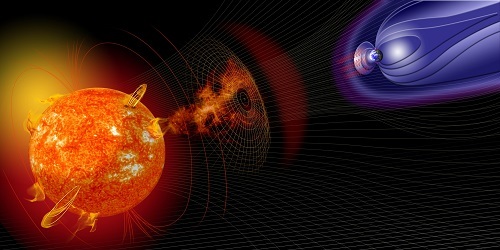 While currently the National Oceanic and Atmospheric Administration, the National Aeronautics and Space Administration, and the U.S. Air Force monitor space weather, issue forecasts, and create other products to inform the public, space weather science, as a discipline, remains in its early stages. To protect our modern technological infrastructure from significant risk, marked improvement in understanding what causes space weather and the prediction and forecasting of events are needed. This bill moves the nation toward accomplishing that while also opening more opportunities for non-governmental stakeholders to be active partners. The creation of the pilot program for the purchase of quality, value-adding space weather data from the commercial sector is one such example. The pilot program—and the agility of this bill’s approach generally—ensures that innovative, cost-effective strategies can be pursued, and that our burgeoning commercial space industry will be able to help address the challenges posed by space weather. Similarly, in tasking the National Space Council with overseeing the national coordinating framework, this bill takes an approach that is consistent with the current Administration’s space strategy.